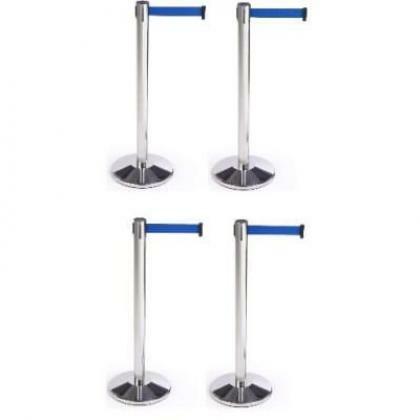 Retractable Belt Stanchion Crowd Queue Control Barrier Post - 4 Poles + 4 Ropes By Hiphen Solutions Services Ltd. Door Lock With RFID Card Access Control - 304 Stainless - 13 Sets By Hiphen Solutions Services Ltd. Door Lock With RFID Card Access Control - 304 Stainless - 11 Sets By Hiphen Solutions Services Ltd. Door Lock With RFID Card Access Control - Gold - 11 Set By Hiphen Solutions Services Ltd. Door Lock With RFID Card Access Control - 304 Stainless - 12 Sets By Hiphen Solutions Services Ltd. Door Lock With RFID Card Access Control - 304 Stainless - 10 Sets By Hiphen Solutions Services Ltd.